By Thomas Shess / Editor/Founder PillartoPost.org daily online magazine—When a retail shop in the South Park neighborhood of San Diego opened its door back in late 2012, the main entrées were delicious paninis. Décor was sparse and business was spotty. I was one of Piacere Mio’s panini regulars and to this day, my loyalty is rewarded with a free dessert for me and my guests each time we dine there. But thanks to the work ethic of Piacere Mio founders and friends Marco Fontana (Rome) and Chef Stefano Poletti (Genoa), the small ex-video shop’s 92102 location (1947 Fern St./619.794.2543). became one of the better restaurants on the East side of Balboa Park. 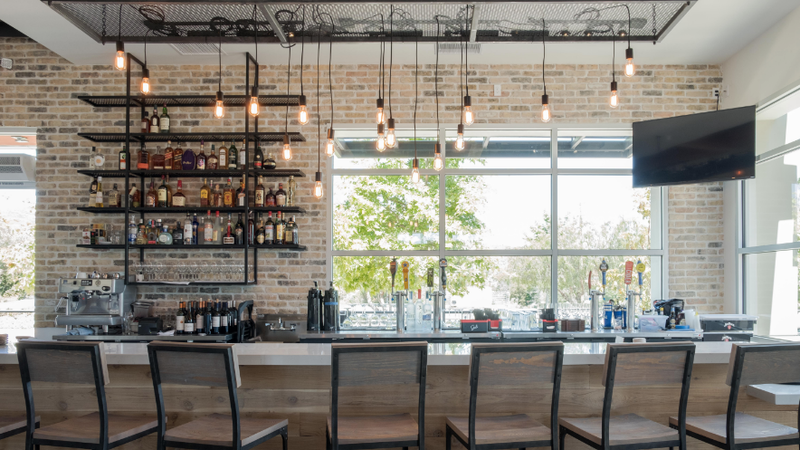 The duo caught the proverbial lightning in a wine bottle as they opened their doors at a time when South Park and North Park communities were in the midst of a decade long restaurant boom. 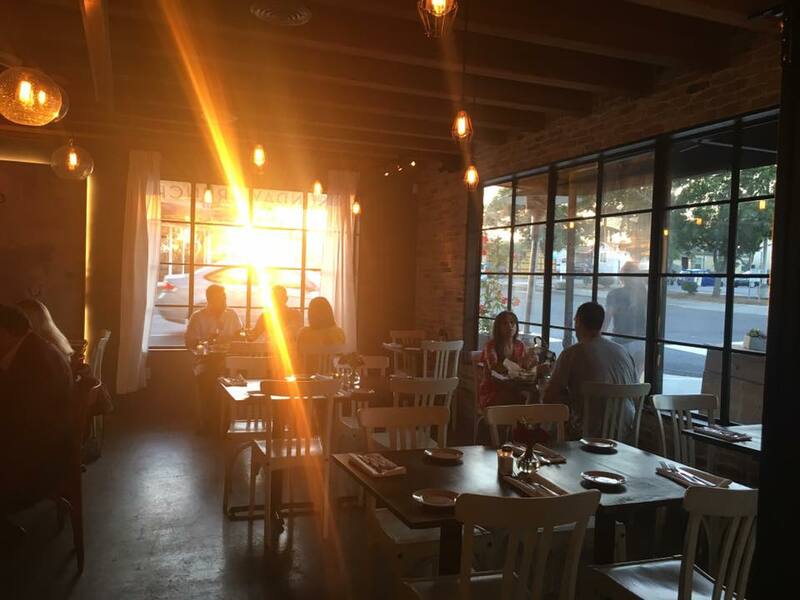 A year after opening at the intersection of Grape and Fern Streets, the owners were able to hire restaurant designer Mariapaola Miele to create a stylish new Euro/Trattoria décor. By 2013, Piacere Mio was well into its success with a hot new look. 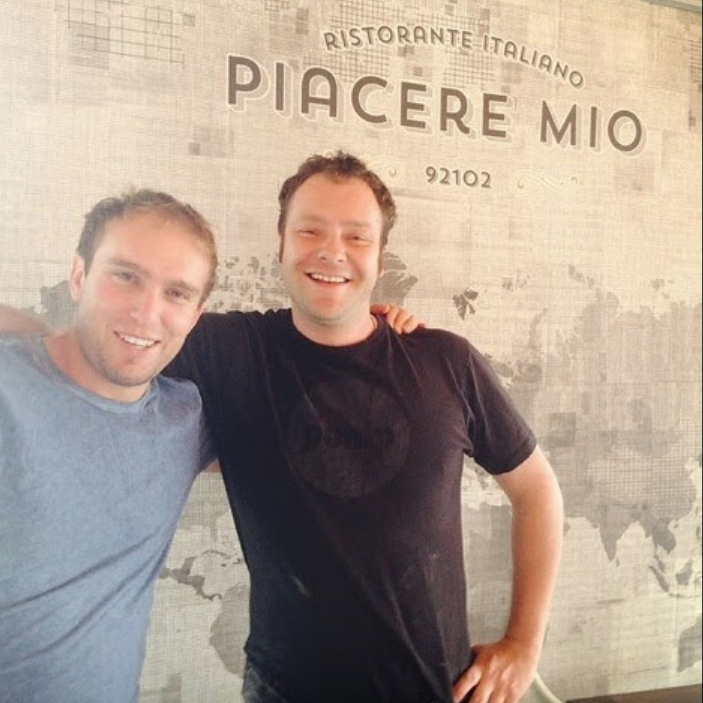 Fast forward to summer 2016, the duo opened a new Piacere Mio in Del Sur, a new neighborhood on the far northern edge of San Diego city limits. Same décor, same designer, same owners and they fine tuned many of the menu items found in the original design, including the pasta that’s still made on the premises. Plus, a wood fire oven that produces favorite pizza, focaccia, and calzone. The new establishment in the Del Sur Towne Center (16490 Paseo Del Sur/858.312.8390) is quietly becoming one of the best new restaurants in North County. Management isn’t flashy. Instead, it is consistent, loyal to its customers, reasonably priced and delicious. The steals here are the tasty and inexpensive house wines, plus the kitchen is consistent and the entrees fall into a comfortable $11-16 range. There’s not much more customers need to make this 92127 site a favorite. My secret dish: Orecchiette Con Salsiccia. Pasta with fresh tomato in a white wine cream sauce with melted Mozzarella. Thanks to a patient 92102 staff, I am able to customize an entrée to my specs. I ask they substitute the ear shaped pasta that’s on the menu with penne then add pancetta to go along with the Italian sausage. Brasato di Marzo! 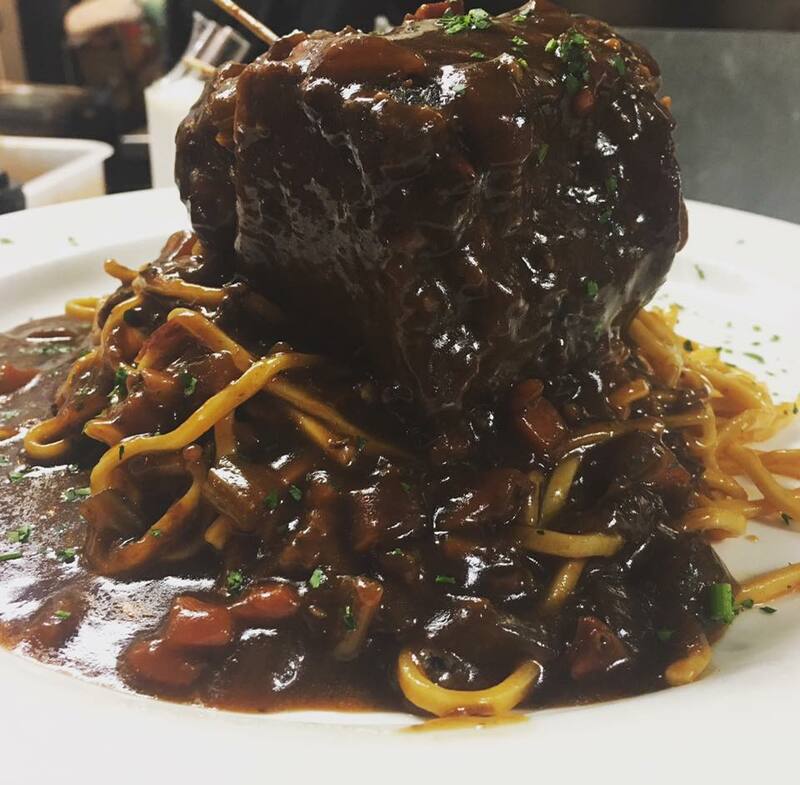 Beef shortribs with premises-made Taglierini pasta. New Fav: Cotoletta alla Parmegiana (pork chop, pounded and breaded. Topped with eggplant, mozzarella and marinara sauce. 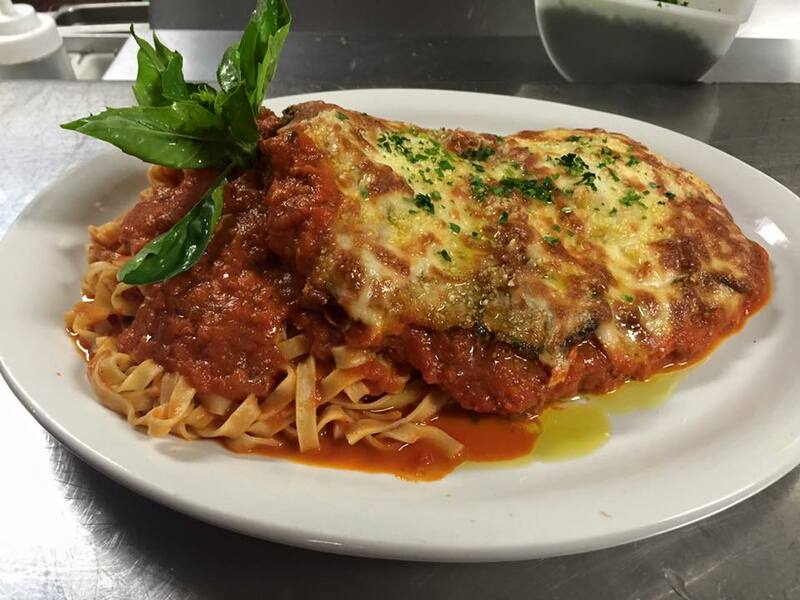 served with homemade fettuccine pasta). Perfect combination with our special wine Cato' Sangiovese. 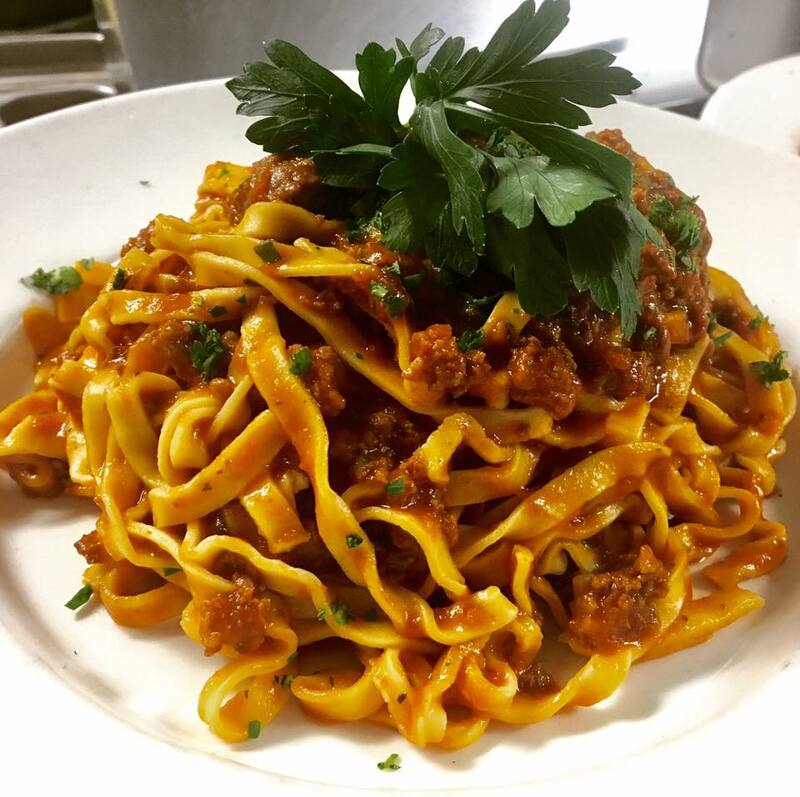 Localized: In Italy this meat-based Bolognese sauce is never served with Spaghetti but with a ribbon-like pasta (Tagliatelle, Pappardelle). Why? Well, the meat clings better to a flatter pasta shape!